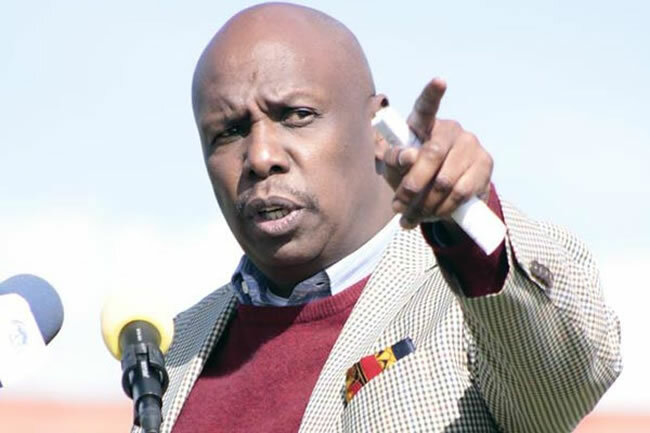 Thursday March 28, 2019-KANU chairman, Gideon Moi, has asked the Kalenjin community to "jealously guard the reputation and the good name of the community”. In a Facebook post on Wednesday, Moi, who is also the Baringo Senator, also warned the community leaders against alienating Kalenjins from other communities. Moi spoke after meeting leaders from Bomet County who paid him a courtesy call at his office in Nairobi. “My message to the people of Bomet and the entire Kalenjin nation is to guard against alienating our community from the rest of Kenyans. We must jealously guard the reputation and the good name of the community that has been built painstakingly over the years," Moi wrote. "We also should not forget that the position of leadership given to us by the community, is not for our personal benefit as individuals. We must respect and serve diligently the electorate,” he added. Gideon Moi’s advice comes at the time when a section of politicians allied to Deputy President William Ruto are claiming that ongoing war on graft is targeting the Kalenjin community in a bid to scuttle DP Ruto's 2022 presidential ambitions. enjoy your father's loots with your useless parasites all round you and your dad. What have you done for your people? when you fly to your county do see the reality of all the hardship your people are faced with. Get a life, it's not your family business founded on loots that is more important than the voters who voted for you, with no development in your region to say the very least. This kalenjin fallacy doesn't hold any water, when all they leaders they have are arrogant zombies with no substance. Take your advice to the fools who keep voting for your likes. Mt Kenya folks have been in power by all wrong means and they developed they region. What about your dad, you, the dp and all the elected zombies done for your region, which is poverty all through and now being affected by the draught and lucking basic clean water and river stream gone dry cos your cartels in your home region have blocked the stream from flowing to irrigate your greenhouses projects. Zombie! get a life and don't think cos of the loots you guys are enjoying you and your likes can advise nor give hope to your voters. The more you zombies for free shut up the better.